The Borghetto Flaminio area, between the wood of Villa Borghese and via Flaminia, hosts a media and information centre for cultural events for the 2000 Jubilee. 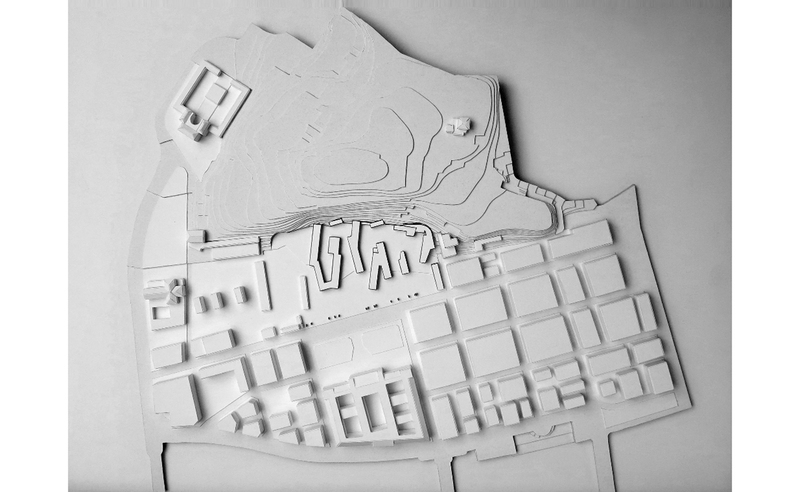 The proposal develops in depth three aspects: the relation of the project with the cliff of Villa Borghese, the definition of open spaces and the measure of the buildings. 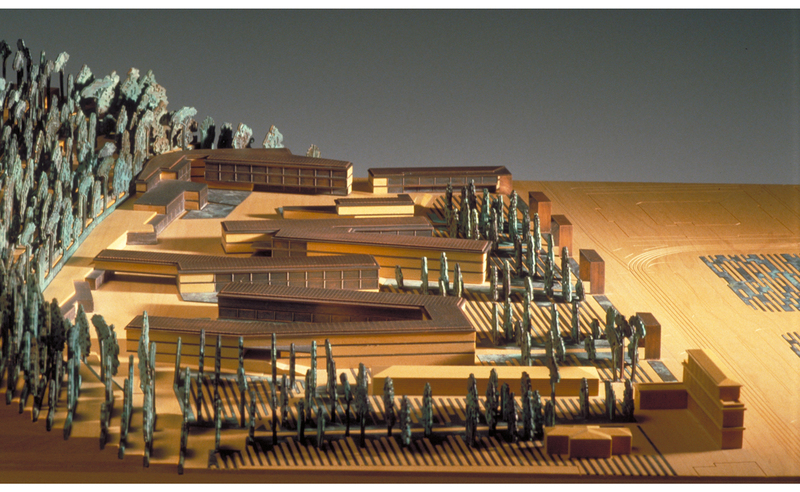 The program is organised in small pavilions immersed in the pine landscape in a clear and orderly scheme. This fact helps to shape an architectural unit being at the same time diverse in forms, materials and technical means that value the whole. 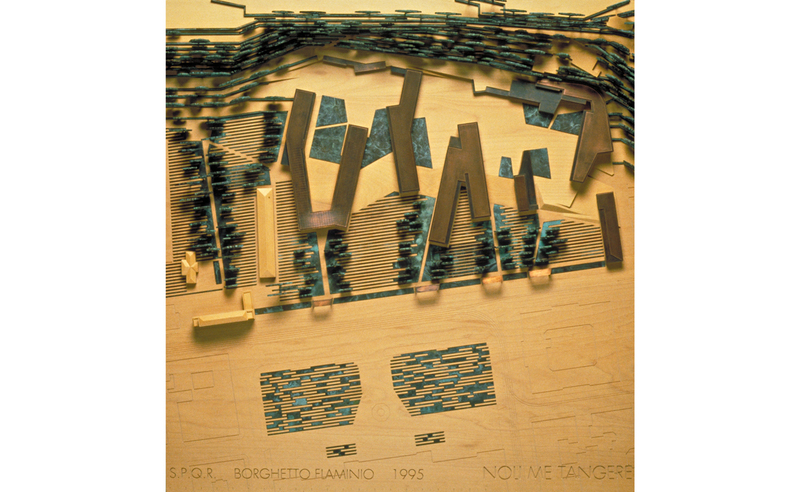 The studios and the workshops are aligned along the base of the slope and also define the elevated piazza in which the rest of the pavilions are placed: music school, auditorium, exhibition area, library and information centre. They are separated from via Flaminia by an archaeological garden that builds up the entrance to the Borghetto area.